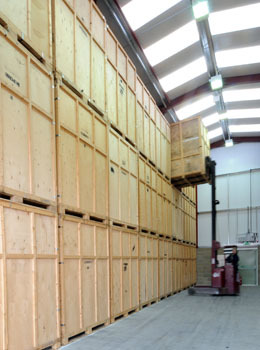 We offer short term and long term storage for your business at our purpose built storage site near Colchester, Essex. Archive and document storage keeps your files clean and secure in a temperature controlled, dust-free container. Given the legal requirement to keep tax related files for seven years, this service is ideal for firms with limited office space. You then have free access to your files during office hours. When you require, we will deliver your sealed storage containers to your premises for the contents to be unloaded.